Whether it’s a ban on electronic devices like laptops when flying to certain countries, heightened screening procedures that require the removal of nearly all electronics from your bags or border patrol agents demanding to search your phone; taking proper steps to secure your personal data has never been more important. We spoke to the experts at DUInsure and thought we’d share their tips for keeping your data safe. Many people don’t realise that it’s not just their gadgets that could be at risk abroad, but their data is generally more vulnerable when they’re abroad too. The constant hunt for Wi-Fi to avoid roaming charges is particularly risky as unsecured networks can leave your data open for thieves and hackers to steal. There are a couple of steps you can take to protect yourself before travelling. These include researching international data laws so you know what to expect on arrival; ensuring your mobile phone is up to date to stop hackers using vulnerabilities in outdated apps to access your data and keeping sensitive data at home where possible. Whilst you’re away, it might be tempting to use a public computer in your hotel or an internet café, but you can never be sure if these devices are safe or know if they have malware or viruses installed that could steal your information. It is also important to be wary of public Wi-Fi networks as they pose a bigger threat to travellers than many realise. Travellers are always keen to jump on free networks, but these networks are generally unencrypted meaning a hacker could easily see the data you’re sending through the network. Our suggestion is to stick to secure and passworded Wi-Fi networks such as in your hotel or pay for a mobile data package with your network provider for more risk-free browsing. If you are determined to use public Wi-Fi networks, whether secure or not, then using something like a virtual private network or VPN can help add an extra layer of security to your internet usage. VPNs send your data to their server and encrypt it first making it much harder for hackers to access your data. Data security also includes keeping your bank account information safe during your travels – like your personal data it can become vulnerable to hackers when you’re abroad. Good practice includes only using ATM machines in or attached to a bank as these are more regularly maintained, monitoring your accounts for any suspicious activity and letting your bank know that you will be abroad to ensure they can protect you if anything happens. 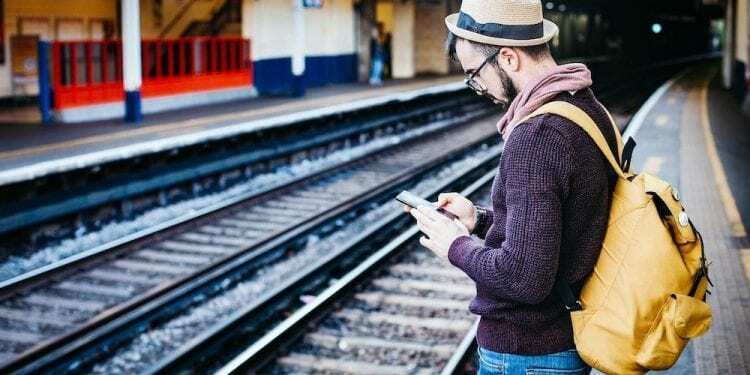 These tips may make travelling both with and without your devices sound risky, but in reality, some common sense goes a long way towards keeping your data safe. Keep an eye out for any suspicious activity on any of your accounts, both bank and personal (such as email and social media), and most importantly report anything that could be fraudulent as soon as possible.